Indiana Department of Education is now making NBC LEARN K-12 a part of its digital offerings! Now all middle and high schools will be able to access thousands of high-quality archival, original, and currents events videos from NBC LEARN K-12 for use in classroom instruction, student projects, and homework. The NBC LEARN K-12 resources will be available on-campus and at-home by clicking on the “Click Here To Access NBC Learn K-12” link at http://indiana.nbclearn.com/. Once arriving at NBC Learn K-12, choose Register Now at the top right hand corner of the screen. Enter an email address and password for login credentials, and then complete the rest of the information as required. Upon return visits to NBC Learn K-12, staff and students can simply Sign In with the email and the password you created. Access is available for all middle and high school teachers, students, and parents – so watch and download as many videos as you like! Please contact Jason Bailey at jbailey@doe.in.gov for any access or training questions. Remind is a free, safe, easy-to-use communication tool that helps teachers connect instantly with students and parents. Sign up in seconds to send messages to your entire class or individual subscribers. Teachers never see students’ phone numbers, and students never see theirs. Save time by sending one-way Announcements, or starting a Chat. Reach students and parents for free, and on any device. Adapted from TeachThought.com and educatortechnology.com….I compiled the two to get the information for you below. Google Chrome is, increasingly, where it’s at. As of April 2014, Google Chrome become the de facto internet browser, passing Internet Explorer. Google Chrome has a nearly 50% market share over Safari, Firefox, and IE combined. As far as browsers are concerned, Google Chrome is king, and part of what makes it great are Google Chrome Extensions. As explained by Google themselves, Google Chrome Extensions are “applications that run inside the Chrome browser and provide additional functionality, integration with third party websites or services, and customized browsing experiences.” While there is some grey area between Google apps, extensions, and simply shortcuts to websites, the right extensions can turn your browser into a Swiss-army knife of utility and efficiency. What Is The Benefit Of An Extension For Teachers? They can make things simple, more accessible, more visible, more compelling, more convenient–there are dozens of potential benefits to you in your classroom. Clip a web page to Evernote with a single button push. Look up a reference. Model for students how to add a citation. Send a link to colleagues without opening another tab. Find a useful resource for a lesson? Scoop it. Tweet it. Pin It. Find a post you want to read? Don’t email it to yourself–use Pocket. The criteria we used to choose each extension? The extension had to increase your efficiency, provide a benefit to content/curriculum, allow you to connect with other teachers/parents/students, or enhance your workflow as an educator. If it has the potential to meet one of these four criteria, it was included. Before skimming through these and installing a bunch of your favorites, note that too many extensions can slow your browser down, and speed is one of Chrome’s other talents. Don’t rob Peter to pay Paul. There is no standard for how many extensions you should use–your mileage may vary here. The speed of your PC, your available memory, your WiFi speed, how many tabs you keep open, and more can all impact your browser’s apparent speed, so add and remove extensions (it’s as simple as a few clicks–see the video above) to optimize your setup so that Chrome remains snappy and useful to you as a teacher. 3- Uncheck the ” enable” button in front of the extension you want to disable . 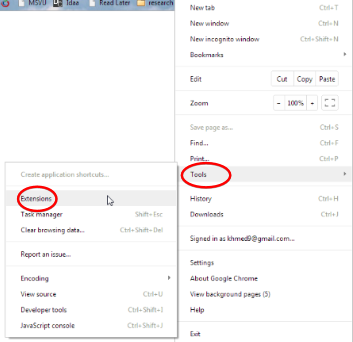 Chrome automatically saves your changes. Here are some of my favorite Chrome extensions, you can download the whole list from this Link. Keep in mind that this is not my work, Jake Duncan did it and on behalf of you I thank him so dearly. Autocopy – Automatically copies text or links when they are selected. Imagine how many times a day you click Control or Command + C. Now, you don’t have to! Awesome Screen Shot – Capture a whole page or just a portion. It also includes annotating tools. Clea.nr – Removes YouTube add-ons and related videos from the screen, showing only the video and the search bar. Great for removing questionable ads and related videos that pop up. Docs Quickly – Allows you to quickly create a new Google Document, Presentation, Spreadsheet or Drawing. Handy Google Shortcuts – Creates an icon that allows the user to quickly access all things Google. 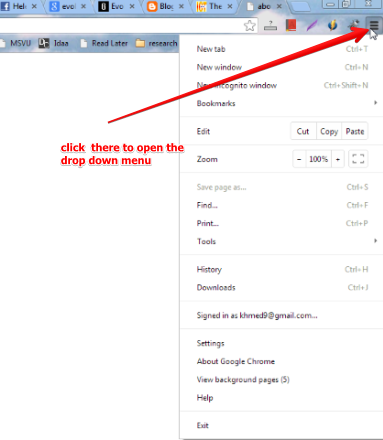 Panic Button – Closes all open tabs in a Chrome window. Click the extension again to reopen them all. Printliminator – (not an extension) Use this bookmarklet to remove unnecessary or unwanted aspects of a web page before printing. Save as PDF – Lets you download web pages into PDF format. Send to Google Docs – You can take any webpage and turn it into PDF that you can send straight to Google Docs. Turn Off the Lights – You can dim the background when videos are playing. Useful to eliminate inappropriate advertising in YouTube videos. Shows up in address bar. Check out and download the entire list of Chrome extensions for educators HERE. Thousands of teachers worldwide use Skype in their classroom for free!!! Imagine taking your class on an “around the world” field trip or having your favorite children’s author lead today’s read-aloud. You can do both of these and more without leaving your classroom thanks to Skype. It’s a great use of technology in the classroom! Skype is free communication software that allows you to make calls, instant message and video conference online. Here are just a few of the endless possibilities for using this ed tech tool in the classroom. Make sure the screen is large enough for the kids to see what’s going on. When kids ask questions, it’s fun to actually have them stand up and walk in front of the camera. It’s important to do a “test” Skype call ahead of time to make sure everything’s working well. Invite colleagues/administrators in to see how this advanced technology in the classroom works. Get started by downloading Skype ahead of time. Be careful about your privacy settings. Only allow student supervised access to Skype. Try Skype’s built-in recording option to rebroadcast your conversations later! Whether you’re conferencing with an author or another class, have your students prepare test questions to make the most of your chat. 50 Ideas for using Skype in the classroom. Meet with other classrooms: One of the most common projects educators utilize Skype for is setting up exchanges with classrooms around the world, usually for cultural exchange purposes or working together on a common assignment. The program’s official site provides some great opportunities to meet up with like-minded teachers and students sharing the same goals. Practice a foreign language: Connect with individual learners or classrooms hailing from a different native tongue can use a Skype collaboration to sharpen grammar and pronunciation skills through conversation. Peace One Day: Far beyond classroom collaborations, the Peace One Day initiative teamed up with Skype itself and educators across the globe to teach kids about the importance of ending violence, war, and other social ills. Around the World with 80 Schools: This challenge asks participating schools to hook up with 80 worldwide and report back what all they’ve learned about other cultures and languages. Talk about the weather: One popular Skype project sees participants from different regions make note of the weather patterns for a specified period of time, with students comparing and contrasting the results. Collaborative poetry: In this assignment, connected classrooms pen poetic pieces together and share them via video conferencing. Practice interviews: The education system frequently receives criticism for its failure to prepare students for the real world, but using Skype to help them run through mock-up interviews with each other, teachers, counselors, or professionals will help grant them an advantage. Gaming: Merge the educational power of gaming with the connectivity of Skype for interactive (maybe even international!) role-playing and other competitive delights that educate and engage in equal measure. Hold a contest: Challenge other classrooms to a competition circling around any subject or skill imaginable, and work out a suitable prize ahead of time. Hold a debate: Similarly, Skype can also be used as a great forum for hosting formal and informal debates to help students with their critical thinking and research skills. Make beautiful music together: Build a band comprised of musicians worldwide, who play and practice together over video — maybe even hold digital performances, too! Who are the people in your neighborhood? : All the press about classrooms meeting with one another tend to veer towards the international, but some schools like to stay local. These two Tampa Bay-area kindergartens met regularly via Skype, sharing their current assignments with new friends only 10 miles away. Highlight time differences: But there is something to be said about global exchanges, too, as it provides some insight into the differences between time zones — great for geography classes! Combine with augmented reality: Both at home and in school, Skype provides a communication tool for collaborative augmented reality projects using the PSP and other devices. Mystery call: Link up to a classroom in another region and have them offer up hints as to their true location, challenging students to guess where in the world their new friends live. Each student works a specific job during calls: Divvy up responsibilities during Skype calls so every student feels engaged with the conversation, not just passive participants watching talks pan out. Assign bloggers, recorders, mappers, and any other tasks relevant to the meeting and project. Play Battleship: The classic board game Battleship offers up lessons in basic X and Y axes; plus it’s also a lot of fun. Compete against other classrooms for an educational good time. Parent-teacher conferences: Save gas, time, and energy by holding meetings with moms and dads via video chat instead of the usual arrangement. Meet with librarians: Teachers and students alike who need some assistance with research or ask some questions about a specific book might want to consider hooking up a Skype link with the school library. Meet with advisors: Similarly, the VOIP program also connects college kids with their advisors whenever they need to ask questions about degree plans or scheduling classes for next semester. Record a podcast: Download or purchase an add-on that allows for recording audio via Skype and use it in conjunction with GarageBand (or similar program) when looking to set up an educational podcast for or with students. Record video: Numerous plugins allow Skype users to record video of their chats, lectures, and presentations for later use, and students who miss class might very much appreciate having what they missed available for viewing. Provide tutoring and office hours: If students need some supplementary help with their assignments — or simply something they can’t get past in the lessons — videoconferencing allows their teachers to offer up tutoring and opportunities for extra help. Special education classrooms might find this strategy particularly valuable. Teach digital literacy: Because social media (comparatively) recently started creeping into most facets of daily life, it’s exceptionally important to illustrate online safety to the Digital Age kiddos. Skype requires the same sort of care and attention as Facebook and Twitter, and serves as a useful lesson in keeping one’s identity protected. Make Skype the classroom: The growth in online classes means Skype itself works as a platform to conduct lessons, share presentations, provide tutoring and support, and more. Reduce absences: Set up Skype streams to help students from falling too far behind in the event of a sickness, suspension, caretaking or similar scenario that causes them to leave the classroom for an extended period of time. Presentation tool: Rather than sending students off on a virtual field trip, let them present their research and findings to institutions or eager parents wanting to know what their kids are learning about right now. Meet special education needs: Skype allows the special education classroom to incorporate students of all ages and abilities into the conversation, and it works equally well as both a remote and a local tool. Study groups: Instead of staking out precious library or coffee shop space, holding study groups via Skype provides a cheaper, more time-manageable alternative. Meet exchange students early: Before shipping off to live with a host family or bringing in an exchange student, arrange meetings ahead of time and get to know one another’s unique needs, wants, and expectations. Art crits: Schedule time with professional artists and receive thorough crits about how to improve a piece. Because Skype allows for screen sharing, anyone working in digital media will appreciate the convenience! Interviews: Rather than a lecture, try hosting a Skype interview with professionals and – if the money’s right — game-changes happy to answer student questions. Tour a museum: Many distinguished museums around the world, such as the York Archaeological Trust, digitally open up their collections so students browse and learn no matter where their classroom may sit. Guest lecturers: Many plugged-in professionals these days will gladly offer up special lectures and lessons to classrooms via Skype, and sometimes charge a much lower fee than if they were to travel! Simulcast performances: Inevitably, some students’ parents, grandparents, and other loved ones can’t attend a play, concert, or other performance. Streaming it over Skype gives them an opportunity to tune in and show some support. Book club: Whether part of a classroom project or organized as an extracurricular, book clubs meeting over the ubiquitous video conferencing tool make for a great project. Music lessons: Thanks to Skype, tech-loving music teachers now reach a much broader audience of eager pupils willing to perfect their skills on almost any instrument imaginable. Professional development: Skype benefits more than just students, as educators themselves can use it to plug in and keep their career skills sharpened and broadened. Attend or throw a poetry reading: Many poets hold readings via Skype, but some educators might want to take things a step further and organize their own. Storytime: A perfect idea for plugged-in libraries and pre-K and kindergarten classrooms: offer remote storytime for kids around the world or ones stuck at home sick. Participate in town hall meetings: Search for town hall meetings the world over and see which ones allow civic-minded classrooms and students to plug in and participate via Skype and other VOIP-enablers. And here are the tools to help you do it! Skype in the Classroom: Run by the video chat client itself, this social network allows teachers and students alike to find collaborative projects meeting their educational goals. ePals Global Community: Any and all VOIP-enabled classrooms seeking others for shared assignments or a quick meeting might want to turn toward this incredibly popular social media site to discover like-minded students and teachers. IDroo: This virtual whiteboard makes online presentations a breeze and works especially well during collaborative classroom sessions or with any special guests who pop online. Skype Office Toolbar: Skype-savvy educators use this plugin to make sharing Microsoft Office files that much quicker and easier. Google suite: Collaborative classrooms often take advantage of Google Docs, Maps, and Translate for various projects as easy, free resources to keep collaborations organized and understood. Skyremote: Add on Skyremote for desktop sharing and the ability to control other computers remotely — a great tool in the collaborative classroom! Vodburner: Make use of this video recorder to tape digital lectures, field trips, special events, streams, simulcasts, and more for later viewing by students, parents, and other teachers who might benefit from the information at hand. Hot Recorder: When it comes to whipping together podcasts or other audio, Hot Recorder is considered one of the best companion programs to Skype. telyHD: Wheel in the giant TV and attach a Skype-ready telyHD camera for a much bigger viewing screen, which students in larger classrooms will appreciate! Thank you to Mark Perry for your helpful information on Facebook. In our current society Social Media has become one of the primary tools people use for communication and interaction. Business use them as part of background checks. Parents use them to check out if other parents are safe for their kids to be around. Student’s use it communicate and go as far as bully each other. Because of this it become more and more important for us to learn and maintain control over our Social Media pages, not only on what we post but on who can see what. Particularly if you are “friending” students and parents on your site. To begin you will need to learn how to group or “friends list” the people connected to your account. By doing so you will have the ability dictate which group of people can see what things on your page and posts. To add a person into a group go to their profile. On the top right you will see a box with a check mark and the words Friends (for example see below) click this box and you will get a drop down list of options. From this list you will get a couple options of what to do with this friend. The second section the groups you can add this friend to. If you do not see the group you want to add them to then select Add to another list… This will expand the list or give you the option to add a new list. Select the list you want this friend in and you are done. To change the default settings for post select the box under who can see my future posts. From here you can select the custom option which will open up a new pop up window. From this window you can dictate individual people OR the lists of people you have created to see your future posts. If you go to the bottom of the Security Settings shortcut you will see an option for See More Settings. From this screen you can change for settings on how you can be found. Who can friend you and even who can see your old posts. On occasion you may want to make a posts that only certain people can see of you really want everyone to see it. After you type your post, or share something. On the bottom of the box next to Post there is another box. Usually this says friends but if you changed your settings above it will now say Custom. If you click it a drop down list will appear and you can select who sees the post you are creating. As with many programs you will need to play around and try different things to get the settings to exactly where you want them and our comfortable with. Hopefully this will give you a solid platform to begin on. Choose the desired Reporting Term options. Adapted from the Gradebook Moodle Class created by Tim Drescher. VocabularySpellingCity is a fun way to learn spelling and vocabulary words by playing engaging learning games using any word list. The most popular activities are Spelling TestMe, HangMouse, and our vocabulary games, available to Premium Members. The most popular word lists are Sound Alikes, Compound Words, Hunger Games and SAT Words. The free app includes ten of our most popular word lists and eight of our most popular learning games and activities. A list of 100 search engines for academic research was created by teachthought.com in 2012. I have not checked out all 100, but they look to be good. Need to get started with a more broad search? These academic search engines are great resources. iSEEK Education:iSeek is an excellent targeted search engine, designed especially for students, teachers, administrators, and caregivers. Find authoritative, intelligent, and time-saving resources in a safe, editor-reviewed environment with iSEEK. RefSeek:With more than 1 billion documents, web pages, books, journals, newspapers, and more, RefSeek offers authoritative resources in just about any subject, without all of the mess of sponsored links and commercial results. Virtual LRC:The Virtual Learning Resources Center has created a custom Google search, featuring only the best of academic information websites. This search is curated by teachers and library professionals around the world to share great resources for academic projects. Academic Index:This scholarly search engine and web directory was created just for college students. The websites in this index are selected by librarians, teachers, and educational consortia. Be sure to check out their research guides for history, health, criminal justice, and more. BUBL LINK:If you love the Dewey Decimal system, this Internet resource catalog is a great resource. Search using your own keywords, or browse subject areas with Dewey subject menus. Digital Library of the Commons Repository:Check out the DLC to find international literature including free and open access full-text articles, papers, and dissertations. OAIster:Search the OAIster database to find millions of digital resources from thousands of contributors, especially open access resources. Internet Public Library:Find resources by subject through the Internet Public Library’s database. Infomine:The Infomine is an incredible tool for finding scholarly Internet resource collections, especially in the sciences. Microsoft Academic Search:Microsoft’s academic search engine offers access to more than 38 million different publications, with features including maps, graphing, trends, and paths that show how authors are connected. Google Correlate:Google’s super cool search tool will allow you to find searches that correlate with real-world data. Wolfram|Alpha:Using expert-level knowledge, this search engine doesn’t just find links; it answers questions, does analysis, and generates reports. Want the best of everything? Use these meta search engines that return results from multiple sites all at once. Dogpile:Find the best of all the major search engines with Dogpile, an engine that returns results from Google, Yahoo!, and Bing, with categories including Web, Images, Video, and even White Pages. MetaCrawler:MetaCrawler makes it easy to “search the search engines,” returning results from Google, Yahoo!, and Bing. Mamma:Check out the mother of all search engines to pin down the best resources on the web. Mamma even searches Twitter and job postings! Resources like the Library of Congress have considerable archives and documents available, and many of them have taken their collections online. Use these search tools to get access to these incredible resources. Library of Congress:In this incredible library, you’ll get access to searchable source documents, historical photos, and amazing digital collections. Archives Hub:Find the best of what Britain has to offer in the Archives Hub. You’ll be able to search archives from almost 200 institutions from England, Scotland, and Wales. National Archives:Check out this resource for access to the National Archives. Find online, public access to find historic documents, research, government information, and more in a single search. arXiv e-Print Archive:Cornell University’s arXiv.org offers open access to a wealth of e-prints in math, science, and related subjects. Search this resource to find what you need among 756,133 documents and counting. Archivenet:An initiative of the Historical Centre Overijssel, Archivenet makes it easy to find Dutch archives and more. NASA Historical Archive:Explore the history of space in this historical archive from NASA, highlighting space history and manned missions. National Agricultural Library:A service of the U.S. Department of Agriculture, you can find global information for agriculture in the National Agricultural Library. Smithsonian Institution Research Information System:Get access to the considerable resources of the Smithsonian Institution through the Research Information System, a great way to search more than 7.4 million records from the Smithsonian’s museums, archives, and libraries. The British Library Catalogues & Collections:Explore the British Library catalogues, printed materials, digital collections, and even collection blogs for a wealth of resources. CIA World Factbook:As the center of intelligence, the CIA has certainly done its job with The World Factbook, offering information on major reference information around the world. History, people, government, economy, and more are all covered in this online publication. State Legislative Websites Directory:Use this database to find information from the legislatures of all 50 U.S. states, DC, and the Territories. You can look up bills, statutes, legislators, and more with this excellent tool. OpenDOAR:In the Directory of Open Access Repositories, you can search through freely academic research information with more directly useful resources. Catalog of U.S. Government Publications:Search through the Catalog of U.S. Government Publications to find descriptive records for historical and current publications, with direct links where available. Instead of heading to the library to bury your face in the stacks, use these search engines to find out which libraries have the books you need, and maybe even find them available online. WorldCat:Find items from 10,000 libraries worldwide, with books, DVDs, CDs, and articles up for grabs. You can even find your closest library with WorldCat’s tools. Google Books:Supercharge your research by searching this index of the world’s books. You’ll find millions for free and others you can preview to find out if they’re what you’re looking for. Scirus:For scientific information only, Scirus is a comprehensive research tool with more than 460 million scientific items including journal content, courseware, patents, educational websites, and more. HighBeam Research:Research articles and published sources with HighBeam Research’s tools. You’ll not only be able to search for what you’re looking for, you can also choose from featured research topics and articles. Note: HighBeam is a paid service. Vadlo:Vadlo is a life sciences search engine offering protocols, tools, and powerpoints for scientific research and discovery. Find what you’re looking for, and then stick around to check out the forums. Open Library:Find the world’s classic literature, open e-books, and other excellent open and free resources in the Open Library. You can even contribute to the library with information, corrections to the catalog, and curated lists. Online Journals Search Engine:In this free, powerful scientific search engine, you can discover journals, articles, research reports, and books in scientific publications. Google Scholar:Check out Google Scholar to find only scholarly resources on Google. The search specializes in articles, patents, and legal documents, and even has a resource for gathering your citations. Bioline International:Search Bioline International to get connected with a variety of scientific journals. The search is managed by scientists and librarians as a collaborative initiative between Bioline Toronto and and the Reference Center on Environmental Information. SpringerLink:Search through SpringerLink for electronic journals, protocols, and books in just about every subject possible. You can also browse publications by collection and content type. Directory of Open Access Journals:When you need top-quality journal writings for free, the Directory of Open Access Journals is a great place to check out. You’ll get access to a searchable journal of full-text quality controlled scientific and scholarly journals. Jurn:In this curated academic search engine, you’ll get results from over 4,000 free scholarly e-journals in the arts and humanities. With a focus on science, these academic search engines return all-science, all the time. SciSeek:In this science search engine and directory, you’ll find the best of what the science web has to offer. Browse by category, search by keyword, and even add new sites to the listings. Chem BioFinder:Register with PerkinElmer to check out the Chem BioFinder and look up information about chemicals, including their properties and reactions. Biology Browser:Biology Browser is a great resource for finding research, resources, and information in the field of biology. You can also check out their Zoological Record and BIOSIS Previews. Athenus:Athenus is an authority on science and engineering on the Web, sharing a directory and full-featured web search. SciCentral:Use SciCentral as your gateway to the best sources in science. This site has a literature search, journals, databases, and other great tools for finding what you need. Strategian:Strategian is a great place to find quality information in all fields of science. Featured resources include free full-text books, patents, and reports, as well as full-text journal and magazine articles, plus a special collection of Vintage Biology with important articles and books in biology. Science.gov:In this government science portal, you can search more than 50 databases and 2,100 selected websites from 12 federal agencies. This is an incredible resource for millions of pages of U.S. government science information. CERN Document Server:This organization for nuclear research serves up a great search and directory for experiments, archives, articles, books, presentations, and so much more within their documents. Analytical Sciences Digital Library:Through the Analytical Sciences Digital Library, you’ll find peer-reviewed, web-based educational resources in analytical sciences, featuring a variety of formats for techniques and applications. WorldWideScience:Use WorldWideScience.org as a global science gateway, offering excellent search results in the sciences, and even the option to select specific databases and find resources in your own language. Keep your results limited to only the best math and technology resources by using these search engines. MathGuide:Check out the MathGuide subject gateway to find online information sources in mathematics. The catalog offers not just a search, but a database of high quality Internet resources in math. ZMATH Online Database:Zentralblatt MATH’s online database has millions of entries from thousands of serials and journals dating back as far as 1826. Nearly 35,000 items were added in 2012 alone. Math WebSearch:This semantic search engine allows users to search with numbers and formulas instead of text. Current Index to Statistics:In this bibliographic index, you’ll find publications in statistics, probability, and related fields. There are more than 160 preferred journals, plus selected articles from 1,200 more and 11,000 statistics books to draw from in this search. Inspec:This database was made for scientists and engineers by the Institution of Engineering and Technology. You’ll find nearly 13 million abstracts and research literature, primarily in the fields of physics and engineering. CiteSeerX:Get searchable access to the Scientific Research Digital Library by using the CiteSeerX website. The Collection of Computer Science Bibliographies:Find more than 3 million references to journal articles, conference papers, and technical reports in computer science with this bibliography collection. Citebase:Still in experimental demonstration, Citebase Search is a resource for searching abstracts in math, technology, and more. Researchers working in the fields of psychology, anthropology, and related subjects will find great results using these search engines. Behavioral Brain Science Archive:Check out this searchable archive to find extensive psychology and brain science articles. Social Science Research Network:In this research network, you can find a wide variety of social science research from a number of specialized networks including cognitive science, leadership, management, and social insurance. Psycline:Find a journal with Psycline’s journal and article locator, a tool that offers access to more than 2,000 psychology and social science journals online. Social Sciences Citation Index:The Thomson Reuters Social Sciences Citation Index is a paid tool, but well worth its cost for the wealth of relevant articles, search tools, and thorough resources available. Ethnologue:Search the languages of the world with Ethnologue, offering an encyclopedic reference of all the world’s known living languages. You’ll also be able to find more than 28,000 citations in the Ethnologue’s language research bibliography. SocioSite:Use this site from the University of Amsterdam to browse sociological subjects including activism, culture, peace, and racism. The SocioWeb:Check out this guide to find all of the sociological resources you’ll need on the internet. The SocioWeb offers links to articles, essays, journals, blogs, and even a marketplace. WikiArt:With this custom Google search engine, you can find open access articles about archaeology. Encyclopedia of Psychology:Search or browse the Encyclopedia of Psychology to find basic information, and even translations for information about psychology careers, organizations, publications, people, and history. Anthropology Review Database:Through this database, you can get access to anthropology reviews, look up publishers, and find resources available for review. Anthropological Index Online:This anthropological online search includes both general search of 4,000 periodicals held in The British Museum Anthropology Library as well as Royal Anthropological Institute films. Political Information:Political Information is a search engine for politics, policy, and political news with more than 5,000 carefully selected websites for political information. Find awesome resources for history through these search engines that index original documents, sources, and archives. David Rumsey Historical Map Collection:Use the LUNA Browser to check out David Rumsey’s Map Collection with more than 30,000 images, searchable by keyword. Genesis:Find excellent sources for women’s history with the Genesis dataset and extensive list of web resources. Fold3:Get access to historical military records through Fold3, the web’s premier collection of original military records and memorials. Internet Modern History Sourcebook:Use the Internet Modern History Sourcebook to find thousands of sources in modern history. Browse and search to find full texts, multimedia, and more. Library of Anglo-American Culture and History:Use the history guide from the Library of Anglo-American Culture and History for a subject catalog of recommended websites for historians, with about 11,000 to choose from. HistoryBuff:History Buff offers an online newspaper archive, reference library, and even a historical panoramas section in their free primary source material collection. Digital History:University of Houston’s Digital History database offers a wealth of links to textbook, primary sources, and educational materials in digital history. The database has multimedia, an interactive timeline, active learning, and resources for teachers. Internet Ancient History Sourcebook:The Internet Ancient History Sourcebook is a great place to study human origins, with full text and search on topics including Mesopotamia, Rome, the Hellenistic world, Late Antiquity, and Christian origins. History and Politics Out Loud:History and Politics Out Loud offers a searchable archive of important recordings through history, particularly politically significant audio materials. History Engine:In this tool for collaborative education and research, students can learn history by researching, writing, and publishing, creating a collection of historical articles in U.S. history that can be searched for here by scholars, teachers, and the general public. American History Online:Through American History Online, you can find and use primary sources from historical digital collections. Using these search engines, you’ll get access to business publications, journal articles, and more. BPubs:Search the Business Publications Search Engine for access to business and trade publications in a tool that offers not just excellent browsing, but a focused search as well. Virtual Library Labour History:Maintained by the International Institute of Social History, Amsterdam, this library offers historians excellent content for learning about economics, business, and more. EconLit:Visit EconLit to access more than 120 years of economics literature from around the world in an easily searchable format. Find journal articles, books, book reviews, articles, working papers, and dissertations, as well as historic journal articles from 1886 to 1968. National Bureau of Economic Research:On this site, you can learn about and find access to great resources in economic research. Research Papers in Economics:Find research in economics and related sciences through the RePEc, a volunteer-maintained bibliographic database of working papers, articles, books, and even software components with more than 1.2 million research pieces. Corporate Information:Perfect for researching companies, Corporate Information offers an easy way to find corporate financial records. Inomics:Economists will enjoy this excellent site for finding economics resources, including jobs, courses, and even conferences. DailyStocks:Easily look up stocks with this search engine to monitor the stock market and your portfolio. EDGAR Search:The SEC requires certain disclosures that can be helpful to investors, and you can find them all here in this helpful, next-generation system for searching electronic investment documents. Find even more specialized information in these niche search engines. PubMed:From the U.S. National Library of Medicine, PubMed is a great place to find full-text medical journal articles, with more than 19 million available. Lexis:Find reliable, authoritative information for legal search with the Lexis site. Circumpolar Health Bibliographic Database:Visit this database to find more than 6,300 records relating to human health in the circumpolar region. Education Resources Information Center:In the ERIC Collection, you’ll find bibliographic records of education literature, as well as a growing collection of full-text resources. MedlinePlus:A service of the U.S. National Library of Medicine, Medline Plus offers a powerful search tool and even a dictionary for finding trusted, carefully chosen health information. Artcyclopedia:Search Artcyclopedia to find everything there is to know about fine art, with 160,000 links, 9,000 artists listed, and 2,900 art sites indexed. Get connected with great reference material through these search tools. Merriam-Webster Dictionary and Thesaurus:Use this online dictionary and thesaurus to quickly find definitions and synonyms. References.net:Through References.net, you can get connected with just about every reference tool available, from patents to almanacs. Quotes.net:Need the right thing to say? Check out Quotes.net to reference famous words from famous people. Literary Encyclopedia:Check out the Literary Encyclopedia to get access to reference materials in literature, history, and culture. Kahoot is a fun, interactive game that teachers can use to match any content area. Much like the sports trivia games that you find at restaurants like Buffalo Wild Wings, users gain points by answering correctly and quickly. Now with a classroom set of computers or iPads, you can do the same with your lessons. Teachers have the choice of either using it for a quiz with a specific answer being correct, a discussion starter, or a survey to collect data. No matter how you choose to utilize this tool, it engages the student and offers opportunities for the teacher to take advantage of some teachable moments. Acuity has changed since last year. 2014-15 Acuity Report Guide has a list of the reports and how to interpret them. Below are some answers to some FAQ from CTB and the IDOE. It will help to understand the differences between the Predictive Assessments and the Readiness Assessments. 1. Will the new E/LA and Math Readiness assessments predict proficiency on ISTEP+? No. The Acuity online reports will not contain any predictions or scale scores. 2. What will educators see in the new E/LA and Math Readiness reports? The Acuity Readiness reports present learning data based on 2014 Indiana Academic Standards. Learning data reports are generated from student assessments and instructional resource assignments. For example, to view proficiency by academic standard, we recommend selecting a Student Assessment, Item Analysis, or Matrix report. These reports will provide more actionable learning data than a Roster report. 3. Are the Readiness assessments designed like the former Predictive assessments? No. The items are all on grade level and offer a mix of multiple-choice and technology-enhanced items (TE) to support the move to College- and Career-Ready (CCR) standards. Also, each form contains unique items so students will not see the same item twice. Given this, it is possible that students will see items aligned to standards not yet covered in the classroom. Additional time may be needed for students to complete the new Readiness assessments. The content of Readiness assessments is aligned to ISTEP+, however in some instances, the Acuity platform may present items differently than ISTEP+. 4. Are Readiness items considered “secure”? Prior to test administration the items are considered secure. Once the assessments have been administered to all students in a grade level, the items may be used for educator professional development or with students as part of instruction. To view an item, point to the underlined item number in an Assessment or Item Analysis report and click. The actual question, distractors, and correct answer will be shown. 5. Can we take the Readiness assessments offline (paper and pencil)? Yes. Acuity offers E/LA and Math assessments for online and offline test administration. The paper/pencil forms have the word “Offline” in the assessment name. Schools will need to locally print and hand score any paper/pencil assessments. 6. What Technology-Enhanced items will students see on the Readiness forms? All forms contain a mix of multiple-choice and TE items which may offer multiple-correct response, drag-and-drop, and evidence-based selected response. During online test administration, Acuity TE items may be presented differently than other online platforms. Also, some may appear different in an offline format. Students will progressively view more TE items from Readiness 1 to Readiness 3 forms. Schools may need to allow students more time to complete these assessments given the item rigor and complexity. 7. How should we discuss Readiness assessments with our students? Set appropriate expectations. The items on these new forms are all on grade level. It is possible that students may see questions on topics not yet covered in the classroom. When reviewing Acuity Readiness reports, focus on proficiency by academic standard. Was the standard covered in class? Student Assessment, Item Analysis, and Classroom Matrix reports offer this level of detail. Next, look at the item type (multiple-choice or TE), the correct answer, and the distractors. 8. Why are there two parts to the Math Readiness assessment for some grades? The Acuity system automatically enables a calculator for some test items. This is not designed to reflect what may be allowed for ISTEP+ Math items. Schools may decide to allow calculators for any part of a Math Readiness assessment. 9. Can students use reference sheets during a Readiness assessment? Although the assessment items are designed for completion without reference sheets, schools may allow students to use them during test administration. 10. Given the rigor and complexity of the Readiness items, can students complete each assessment over more than one class period? Yes, schools may allow students to save their answers and return to complete the Readiness assessment. All students should complete the assessment during the established, approved IDOE Acuity test windows.